In politics, they say Social Security is like the electrified third rail on the subway. Nobody wants to touch it because they can only get hurt doing so. In ultrarunning, mandatory volunteerism is a similarly charged subject. How could you argue with something so noble as volunteering. Well, at the risk of electrocuting myself, I’m going to challenge this notion. Not because I think volunteering is bad, but because I think it could be better. Let me start by examining the many benefits of volunteerism, specifically to our sport of ultrarunning. “The culture of volunteerism is healthy,” says Blake Wood, veteran ultrarunner and member of the Hardrock 100 board of directors, one of the few 100 milers that doesn’t have a mandatory requirement. I wholeheartedly agree with him. In fact, I spend more of my own time doing volunteer work than I do paid work (see About Me). Giving back to my community is rewarding, fulfilling, and it just makes me feel good about myself and my community. It is healthy. “One of the best things about our sport is that nearly everything is done by volunteers,” writes John Medinger, publisher and WS board member, in this month’s Ultrarunning magazine. Our races often require more volunteers than runners. WS has 1,300-1,500 volunteers on race day for the 400 runners. Where’s Waldo has about 150 volunteers for a little over 100 runners. If race directors had to pay for aid station help our entry fees would make races prohibitively expensive or we’d have aid stations with minimal or no service. No doubt, our sport benefits from volunteerism on race day. The benefits of ultrarunners doing trailwork are perhaps even more significant than race-day help. As Charlie Crissman, RD for Cascade Crest Classic 100 miler, which is implementing a new trailwork requirement for 2009 points out, “there is great PR value for CCC if I can point to almost 1,000 hours of volunteer time on trails as a direct result of the race. If the Forest Service decides they don’t like the event then it’s over.” My Co-RD, Curt Ringstad, many friends, and I have been doing trailwork on the Waldo trails for the last eight years (see our trailwork page) and Charlie is absolutely correct. The relationship we have with the Forest Service is strengthened by our efforts on the trail. When we wanted to use an abandoned trail for the new start in 2007, we had the support of people inside the Forest Service and it was allowed to happen if we replaced two atrophied bridges. They trusted us to build them, we did a great job, the new start is awesome, and now hikers, riders, and runners enjoy the re-opened trail. Does Where’s Waldo equal trailwork in the eyes of the Forest Service? Maybe. Do they want to lose that? Probably not. That’s a powerful position for the race to be in and it’s a direct result of volunteerism. Rob Cain, race director for SOB 50K in Oregon and adopter of a section of the Pacific Crest Trail, agrees. 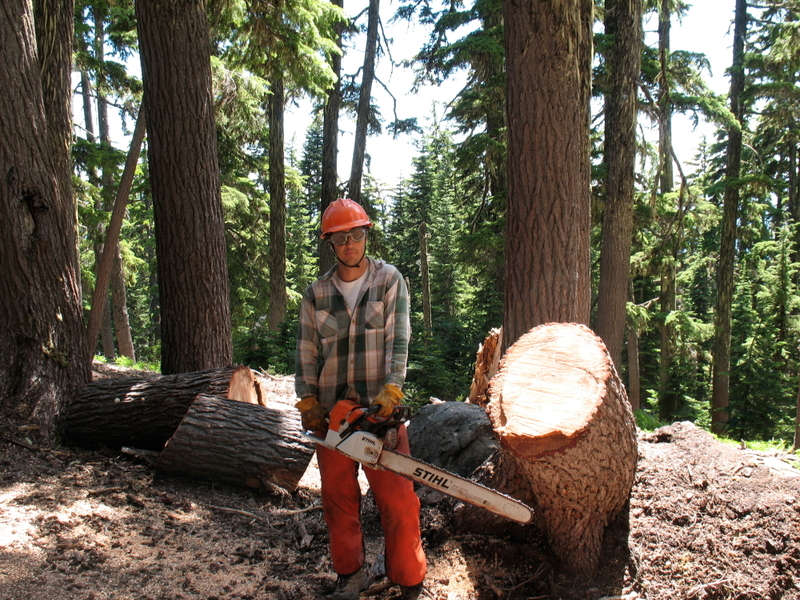 “There is a real leverage available with the Forest Service via volunteer hours,” he says. So, you may be wondering, Craig, what’s your problem? It’s all good isn’t it? My problem is that requiring volunteerism denigrates the contributions we make. It calls to question the authenticity of our efforts. And that bothers me. Yeah, perhaps I’m a bit idealistic, but on more than one occasion, I’ve joined work parties on the WS trail and have been asked by people who don’t know me, “So, you’re doing this to fulfill your volunteer requirement?” Absolutely not. I’m doing it because I want to help. Just being asked that question taints the satisfaction I get from volunteering. For those runners who are volunteering just to satisfy the requirement, I question just how good that help is. I fill out several forms a year for folks fulfilling a race requirement, and generally they’re good workers. But on more than one occasion, I’ve been out on a long day of trail work when, with several miles to go, we hit 8 hours and someone tells me they’re done. What? Whether they are joking or not, it seems very wrong that they’re looking at their watch instead of the job that still needs to be done. Do we want or need that kind help? I want people who want to pitch in, not those who are fulfilling a requirement like some high school kid trying to get his community service done so he can graduate. It also seems a bit short-sighted, to make runners give back in the same year they are running the race. Can we look at the contributions a runner makes over their career or lifetime instead? How many first year runners are going to be race directors? I don’t know of any. Then there are the Grand Slam runners who are forced to do work for all the races in the Slam in the same year they’re trying to run four 100s. For many, it may work out naturally that they have more time to do volunteer activities later in their lives when the kids are grown or they’re retired or they’re not training for hundreds of hours. How many active 100-mile runners are on the WS board of directors? Many are older and don’t race as much anymore and there is nothing wrong with that. It makes sense. Finally, if we’re trying “to induce runners to give back to the sport” as Vermont 100 claims on their website I question whether this is the only way to accomplish this. Putting aside the philosophical and political arguments of libertarianism, which might lead us to conclude that races should completely stay out of runners’ lives, can we do this another way? I think we can. We need leaders to organize, mobilize, and inspire runners to help. Let’s be the example so others can follow and model the behavior. The work that Mark Falcone, Tim Twietmeyer, and Matt Lambert have done the last few years is a great example. Getting Duncan Canyon re-opened required over 1,000 hours of volunteer time (see ws trailwork). By organizing the half-day work parties the last few years, much more has been accomplished than in previous years. Is this because of the requirement? I think not. They provide an opportunity for us to help. And we are inspired and motivated by the work that Mark, Tim, and Matt are doing. Without these work parties how would a person do trail work? We don’t need a requirement to help you, we need leaders and opportunities. So what would be the potential ramifications of Western States dropping the requirement? Will we lose race day volunteers? How many of the current race day volunteers are fulfilling their requirement for the following year’s race? Greg could probably tell us. You’ve had 1,300 volunteers long before you had the requirement. Many of the race day volunteers aren’t even runners. And with the incentive of aid stations getting to sponsor a runner in the race, I doubt you’d lose many, if any, volunteers that help on race day. Would we get fewer volunteer trailwork hours? If you do think we’ll lose volunteer trailwork hours then perhaps you could adopt a policy similar to Hardrock in that trailwork hours increase your chances in the lottery. But, we’ll address the lottery in a subsequent post. Blake says Hardrock has no problems getting help on their trailwork weekend. I would argue that you won’t have problems either. So, my request to the WS board of trustees: reconsider the mandatory volunteer requirement. Give us a chance to show that we care about the trail we run on and the race we get to run. Let us runners feel the satisfaction of authentic volunteerism. You are in an influential position in that what you do drives the standards and traditions of our sport. The third rail on the subway doesn’t hurt that bad. 350 of you have read this and not one has felt motivated enough to comment? Craig, I’d say almost zero aid volunteers at this years race would be using it to fulfil volunteer requirements for 2010. If you are running in 2010, I imagine you’d very very strongly looking to pace in 09. I agree – that almost everyone I see out there at the WS work parties are out there because they love the trails and they want to help out – not just to tick off their 8 hours. Plus there’s a strong social aspect of spending a day or weekend in the high country with fellow trail runners where you can just kick back, eat pizza, drink beer and talk about nothing other than trails. Even though I guess the mandatory requirements is a little redundant among most runners, I’d still like to see it remain. It’s just nice to know for sure that everyone has done a little something. P.S. My “volunteer job” was to sleep with the leftover pizza and beer to guard it against bear attack. Greg, I am including this as my volunteer requirement for 09. Even though I guess the mandatory requirements is a little redundant among most runners, I’d still like to see it remain. It’s just nice to know for sure that everyone has done a little something. Thanks for the comment, Paul. Interesting that you want everyone to do a little something. Maybe that’s my problem. I don’t care if everybody does trailwork or volunteer at a race. I’m a taker. Like most full time working folks I’m busy working, training and doing the laundry. I’m embarrassed to say that I think the Western States requirement forced me to get out there. Having spent some time on the trails and working at your race last year I have to say I’m hooked. It makes the ultra experience so much richer. I will not need a requirement to get me out there anymore, but I think it’s a good idea and as you pointed out, having the extra card to play with the Forest Service shouldn’t be overlooked. If you are concerned about how volunteer work is viewed then I’m surprised you would consider the Hardrock plan which sounds even more pay to play. Are you out here to help or just to increase your chances of getting into the race? @Dan Olmstead – In your case, we just needed to get you out there the first time? How else might we have accomplished that? I think just hanging out with the Eugene crowd you would have found an opportunity to help at an aid station or trailwork or Waldo. 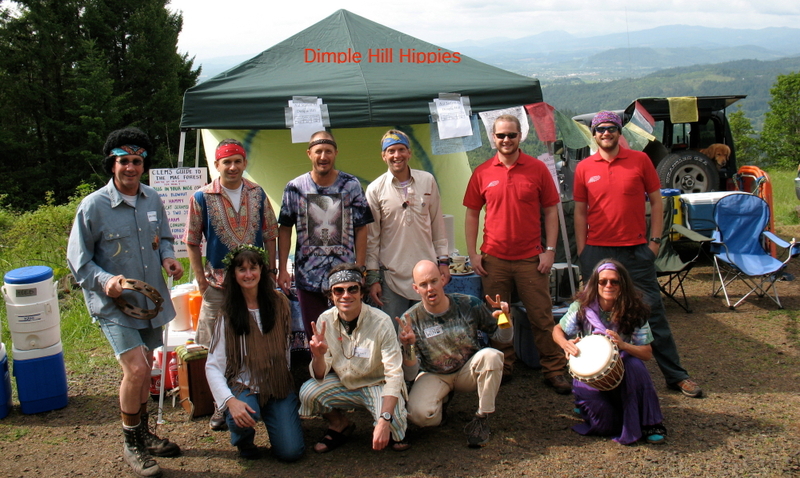 And you are more than welcome to join us at Dimple Hill at McDonald Forest 50K this year. Guaranteed to be fun. And thanks for helping at Waldo. As for the Hardrock plan, that was offered as a compromise. I agree it does seem like a pay to play scheme. Maybe I’ll retract that suggestion. Thanks for pointing that out. And another interesting thing to ponder for those that like the requirement. Why don’t we have similar volunteer requirements for 100Ks, 50 milers, and even 50Ks? Can you imagine the amount of free trailwork we’d get if every 50K in the country had an 8 hour trailwork requirement? Don’t most runners do shorter events before stepping up to a 100 miler? Shouldn’t we be “inducing giving back to our sport” when people first start participating in trail ultrarunning? In Dan’s case, he would have already been in the volunteering mode when he signed up for States. Maybe this would serve an additional purpose by reducing the demand on the limited entry spots for races like Way Too Cool. Why only have the requirement for 100 milers? One comment, or question really: does the mandatory trail work aid race directors in securing cooperation from the forest service? I would think that having a quantifiable & documented number of service hours (even if it’s actually far short of the actual number of hours service hours, as many far exceed the 8 required hours) is a much more powerful statement and negotiating chit, than a more general “our runners do an awful lot of volunteer work”. While we may all feel silly and petty having to get our forms signed, the forms may have value even beyond the work recorded, in securing access. 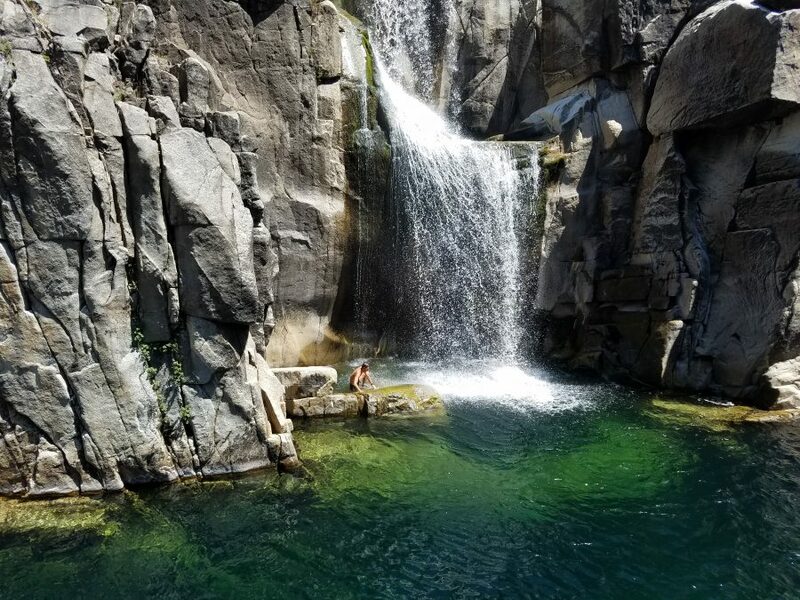 @Matt – I can only speak for Waldo, but we have to record and report all our volunteer hours to the FS, including who helped and the work that was completed (with details like number of trees cut, waterbars cleaned, etc). The service forms like WS has would serve no purpose for us. And, since most of the people that help us do more than 8 hours we’d only count a fraction of their time. I’ve joined two WS work parties the last two years and neither time did I have them sign my WS form so if they are using the forms to record and report hours they lost mine. 1. It demeans his true volunteerism. 2. Some people don’t work as hard as Mr. Balls does. 3. Assumin’ one trains at least 1,000 hours for WS, it’s very difficult for an athlete to take .8% of this time and devote it to somethin’ other than pounding the trails. Interestin’ that Mr. Balls seems to be able to handle this requirement easily. 4. There may be another way to do it. WS does call this a service requirement. Other than mentioning “volunteer” hours once on the form, I don’t see what the fuss is about. I was just at a trail event last week and one of the elite runners was there helping out. I know without the requirement we wouldn’t have seen him. I appreciate his efforts, he worked hard, and am thankful that we had the opportunity he could use. @SLF – I appreciate the comment. Your argument is because it’s only eight hours and WS doesn’t call it “Mandatory Volunteerism” that it is no big deal? 1. I actually didn’t agree with the WS requirement back in 1998 when I wasn’t doing much volunteering – some, just not a lot. Eleven years later I’m actually in a position and have the platform to make this argument. Imagine if I didn’t do any of the volunteer activities that I do and I made this argument: I’d be called a slacker and a taker and my argument would fall flat. 2. I do think there are a lot of people that work a lot harder than I do. I mentioned a few of them above in the post, you included (I hope I didn’t just reveal your identity). 3. Do you, or anyone, care to address why it makes sense that only 100 milers have such a requirement? I mean, it would sure get us a lot more free hours, we’d get ’em while they’re new to the sport to really train them, and it just might have a positive impact on our over-crowded race problems. WTC uses the WS trail and puts a lot of people on it on race day and training days. Shouldn’t those runners be expected to help like the 100 milers? You’re definitely correct that most ultrarunners volunteer whether the service is required or not. I do however think the issue of how we structure service (what we allow, who else participates, etc.) is more important than whether service is required or not. I’ve recently posted a pair of articles on my own blog site that address various things which limit the sizes of 100 mile races. One of the points I make is that 100 mile races cannot get enough volunteers if they have to rely on 100 mile ultrarunners (or even trail runners in general). We need to structure service to make our own service contributions more visible and to better allow us to attract volunteers from other trail user groups and community sources of volunteers. @Ultrarunning Edge – I read both of your articles on your blog. You make some good suggestions for those RDs that have a volunteer requirement or for those that are just going to encourage volunteerism. I also agree that the volunteer base for 100 mile races has to extend beyond 100 mile runners. Heck, I’m not sure I even know a single 100 mile runner that is also a ham radio operator. We’d have no communication network if we could only use 100 mile runners. But I don’t understand how a volunteer or service requirement is going to help get volunteers from these other groups. If we can stick with the Ham radio operators, my experience is these people want to help. They want a venue to practice and use their equipment and skills. Showing them respect and appreciation, giving them recognition, putting on a great event which they can be proud to be a part of, and maybe making a donation to their group has been sufficient in my experience. Having mandatory volunteer work parties that are visible to them doesn’t seem to be what they want or need. I do appreciate the conversation. Great to see you posting on the subject on your blog. Craig, Thanks for this post, and I agree with your suggestion of reconsideration. I’ve had strong feelings about the service requirement since I first ran WS100 in 2004. This response is a bit long – it probably breaks blog-response etiquette – but the fragile stance of speaking “against” the mandatory service requirement demands some justification. Volunteerism, of course, is good. Our sport obviously can’t survive without it. The service requirement enchances many races, and I agree with Greg Soderlund and the WS Board that “WS participants have gained important insight and immense satisfaction after fulfilling this important pre-race requirement.” Many have, but not all. Some runners simply begrudge it – even after helping – and would never serve sans the requirement. And that’s OK. Like you, I question whether we need those who have absolutely no desire to help. Indeed, I strongly believe our sport and trails can thrive without mandatory duty. Our ultra community is full of helpers, and our best races with strong leadership also garner plentiful help from non-runners and charitable organizations, alike. For what it’s worth, I love volunteering. Moreover, I feel it’s important if these views are to have any legitimacy. Like many others, I love and have a passion for WS100. 8 hours is hardly a crushing burden. If the race wanted more, I’d do it. Because of this race I’ve met ubervolunteers like Ken Gregorich and Mark Falcone and have been infected by the passion of like-minded WS lovers. I’ve been an RD, co-directing a hometown road race for 8 years (1998-2005); on average I race-day volunteer at 2-4 trail ultras/year and do trailwork a few times/year, as well. It’s rewarding and a great way to spend time with similarly passionate people. Many of them do more than me. That said, I certainly am not alone. Every runner in our local group (about 12, or so) serves without prompting…or, at least, their work has nothing to do with fulfilling a 100-mile service requirement. In addition, many bring their families, as well, many of whom are non-runners. Again, it’s a community thing, and there are little groups like ours all over the country. Most of us help, in part, because of strong leadership – you nailed this, in supporting your stance. People flock to help energetic RDs and volunteer captains, those people wholly devoted to staging top-notch events that serve the runners and terrain on which they run. Our Oregon Trail series, for example, is peppered with races bursting with volunteers, simply because folks want to help the respective RDs and join their friends for a collaborative effort of service. Another carrot for volunteers and runners, alike, is the charity factor. Many of our sport’s quality events raise money for local causes. Javelina Jundred, for example, has given thousands to McDowell Mountain Regional Park since its inception; the money raised directly benefits the trail on which the race is run. Javelina, notably, doesn’t have a service requirement. It’s strong volunteer base is reflected in the quality of the event, and race entries continue to grow. Significantly, when charity is involved, benefiting organizations often are eager to send help to the respective race. For runners, entering a race that does some good makes it that much better. WS100 started the mandatory service requirement, and it’s the gold standard of 100-mile races. The race serves runners, the trail and the communities that we pass through. To concur with one of your post comments: Why, however, is it that only 100 mile races demand duty? It’s quite interesting and has boggled me since I joined the sport. A great number of runners using our trails and entering ultras never endeavor to run 100 miles. I’m not advocating that sub-100 mile races institute a service policy. Hardly. Rather, I simply wonder what is so special and/or unique about the 100-mile runner. Is it because the training required seemingly demands utter selfishness? Maybe it does, and a day of service certainly changes the focus. I don’t think it’s necessary, however. It’s subjective and anecdotal, but 100-mile runners are, largely, givers. We strongly identify with each other, and we sincerely want to help those who make it possible to get a 100-mile finish on spectacular terrain. I hope, at some time, the board considers your suggestion. Were the requirement to vanish, maybe some ultras would, as well, but those that remained – the best events – would be ample gifts to satisfy us all. You and I are largely in agreement. Many current service requirements seem intended to force today’s 100 mile runners to experience the same rites of passage that 100 milers did a decade or two ago. These requirements do little or nothing to improve actual volunteership at 100 mile races. They DO tend to have the effect of making ALL our trails wider and smoother—decidedly NOT such a good thing on many mountain race courses. I like your example about ham radio operators. The few ham operators I know would be eternally grateful to ultrarunners if we simply wrote a few blog articles encouraging the FCC to modify spectrum and noise rules so we don’t lose ham radio operators as a national and international resource. So if ham radio operators are a limiting resource for certain 100 mile races, we as runners and race directors need to do whatever it takes to get more ham operators. At the same time we need to recognize that each race is different. Here in the intermountain west, motorized trail users view non-motorized users as antagonists. Yet we need a fair number of those motorized users for our races, and we definitely don’t want to have them opposing our races. So runners and race directors need to communicate about what our different race limitations really are. Then we need to come up with strategies (required or not) that will help ALL our races to grow in productive ways.